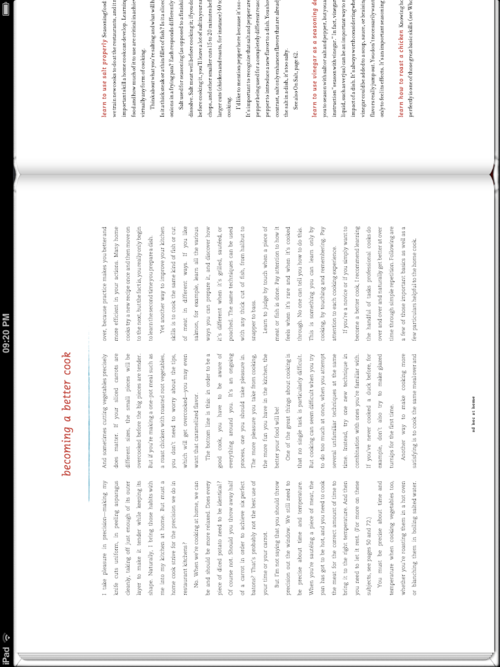 iBooks brings proper layout control to ebooks; reduces need for apps? Apple just released a new revision of iBooks. They’ve forked ePub (which is basically just a zipped HTML file) to allow proper layout control, and the results are… interesting. Apple has put several dozen titles (or more) up for an initial launch - a mix of cook books, photo books and children’s picture books. Yes, the publisher gets complete control of the layout. But that doesn’t necessarily result in a great in-screen experience. Indeed, it’s a little like reading a PDF. You can no longer change the font size in these titles, and reflowing is gone. 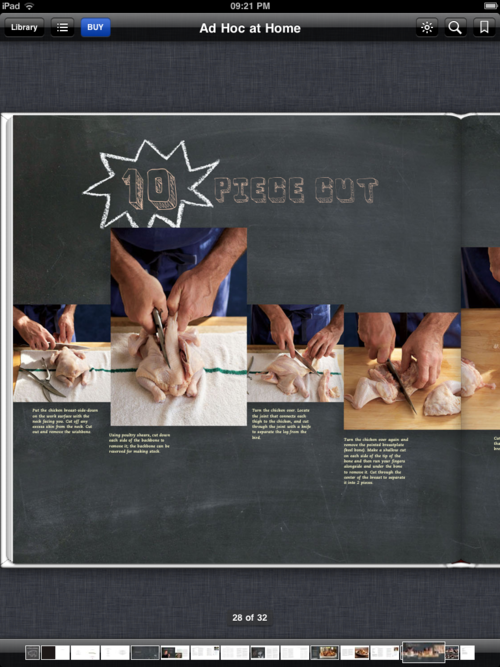 Many of the titles, as you can see in the screenshots of a Thomas Keller cookbook, don’t really work comfortably on the iPad screen without a lot of panning around - they haven’t repurposed the book for the ipad so much as replicated the print layout into the new format, without much regard for readability. The text is too small. Early days, I know, and people will learn. They’ll also have to wonder what screen size to target, which is a problem is you’re reading on both a tablet and a mobile phone. 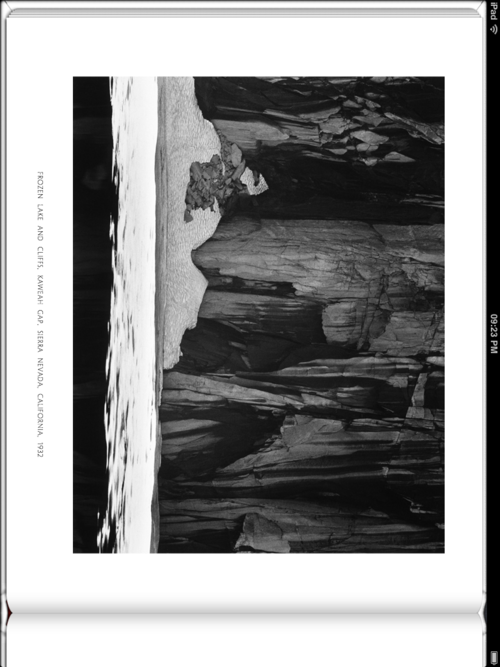 Still, for some publishers this will be a much better, cheaper option than packaging a child’s picture book in an app, and this is MUCH better than the standard epub-with-pictue. Also, as is blindingly obvious, you can’t do any of this on the Kindle. Still, odd to see the flagship content so quirky. Has Apple made the specs for their ePub fork available for other ebook stores to use?